The Chrome Web Lab won a Silver Cyber Lion and a Bronze Design Lion at Cannes, a SXSW award in the Experimental category, a FITC award for “Best Experimental” and “Technical Excellence,” Epica, Eurobest, FWA Site of the Month, and The Lovie Awards, along with a collection of awards at the D&AD Awards. 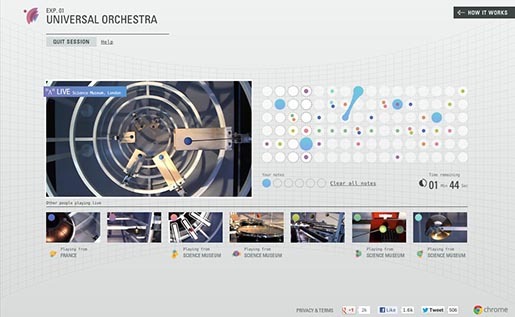 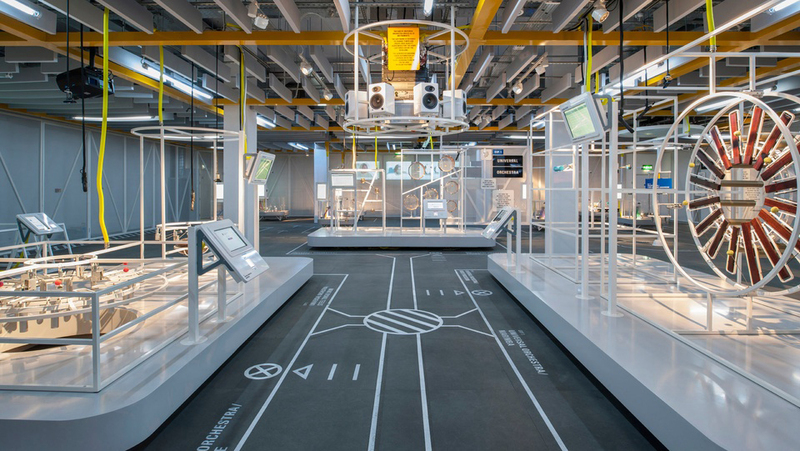 Universal Orchestra features real instruments that can be played via a web interface by visitors in the Science Museum. Online visitors can collaborate in real time, each playing an instrument in the same orchestra through a similar interface on the website. The Teleporter experiment lets viewers travel instantly and immersively to far away places across the globe. 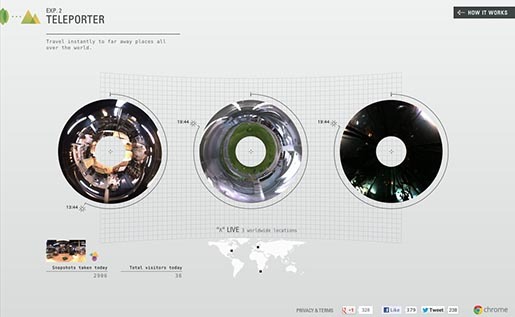 360 degree video feeds from an aquarium in Capetown, a miniature village in Hamburg and a bakery in North Carolina let users explore and save snapshots to share. Sketchbots invite online and museum visitors to capture their portrait and have it drawn in the sand by a robot in the physical space. 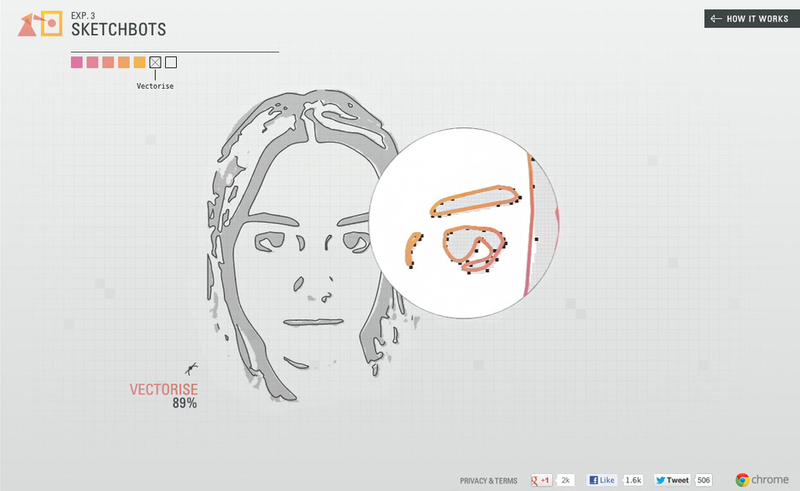 Users can then watch and share a bespoke video of the results. The Data Tracer experiment is designed to visualise the vast structure and incredible speed of the web in an engaging way. A stylised model of the world allows users to search for any image on the web and then reveal how data travels to retrieve that image. 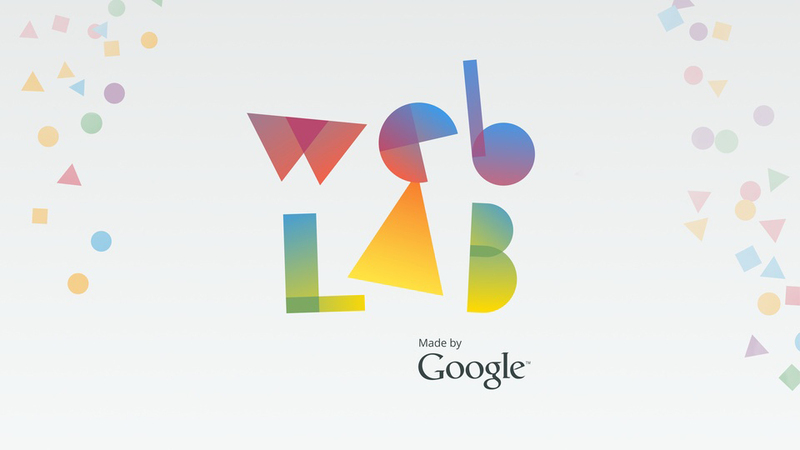 Lab Tag Explorer gives an overview of the Web Lab community. 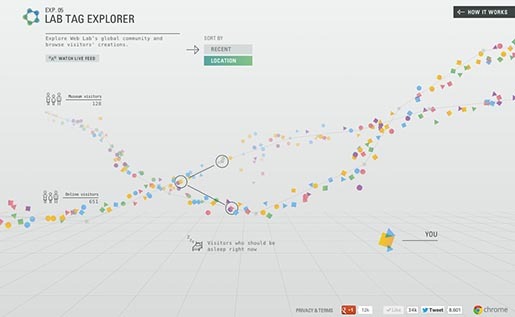 Users are invited to browse other visitors’ creations and explore the connections between them in a series of infographics. 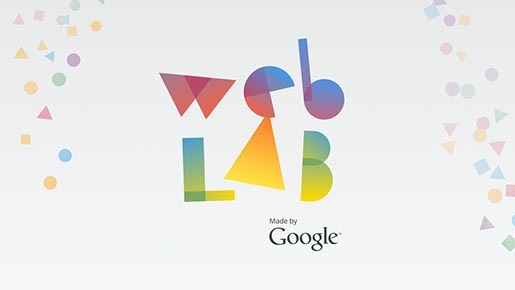 The Chrome Web Lab campaign was developed at Google Creative Lab by creative director Steve Vranakis, creatives Tom Seymour and David Bruno, marketing manager Maximilian Madile, design lead Ross Warren, and marketing manager Jayme Goldstein. 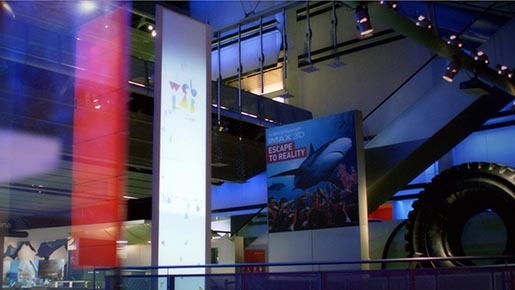 Production was done at Bibliotheque, Weir And Wong, Karsten Schmidt at Postspectacular, Map, Universal Design Studio, B-Reel (producer Mei Lin Rawlinson), Tellart (lead Matt Cottam). 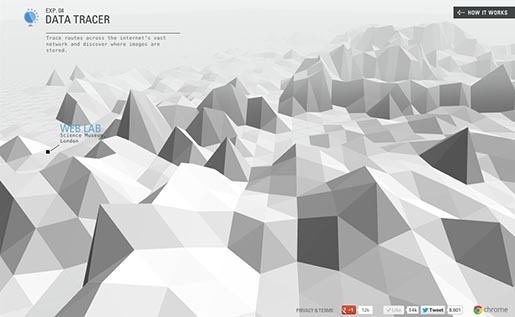 Music was produced at Shroom.